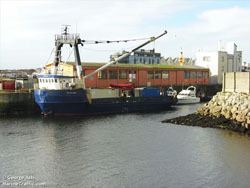 A warehouse at the Docks in Galway is open for collection of cargo from Monday to Friday 8am to 4pm, closed for lunch from 1pm to 2pm each day. Please note times may vary due to the weather. We reserve the right to cancel sailings at short notice due to bad weather. This will be at the discretion of the skipper in charge and his decision is final.